Craig has been coming up to Wells every single summer from New York (and now New Jersey) ever since he was a kid. And now, he gets to share the place he loves with his wife, Jillian and sons, Anthony, James, and Luca. 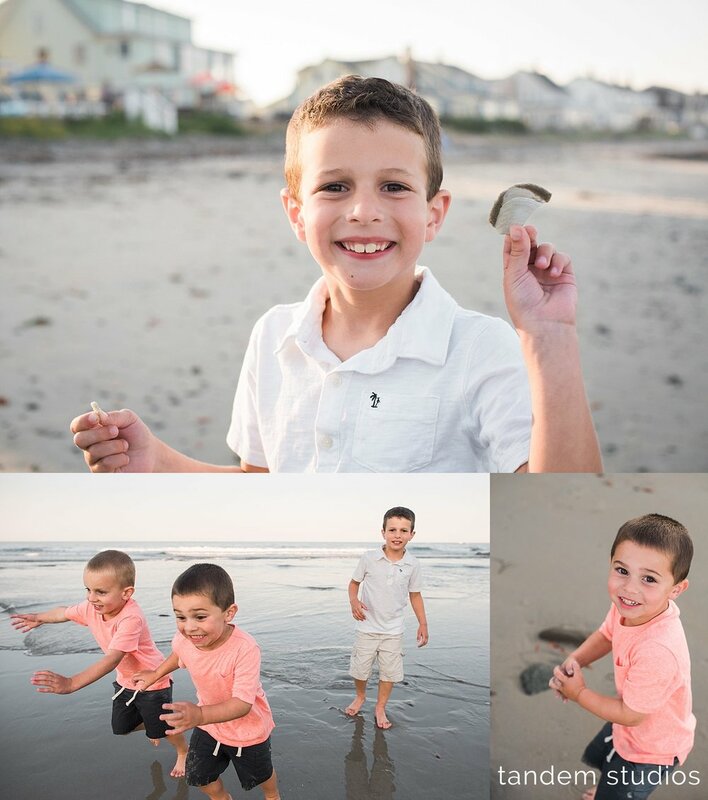 We have had the huge honor of documenting their family vacation for the past three years, scheduling our mid-July session and hoping for a beautiful evening on the beach. The weather hasn't failed us yet and neither has the fun. Our first session back in 2015, the twins couldn't even sit up on their own. And now, we can barely keep up with them as they run up and down the beach! Big brother, Anthony lost his first tooth and was proud to show off his new grin, one tooth short from last year. 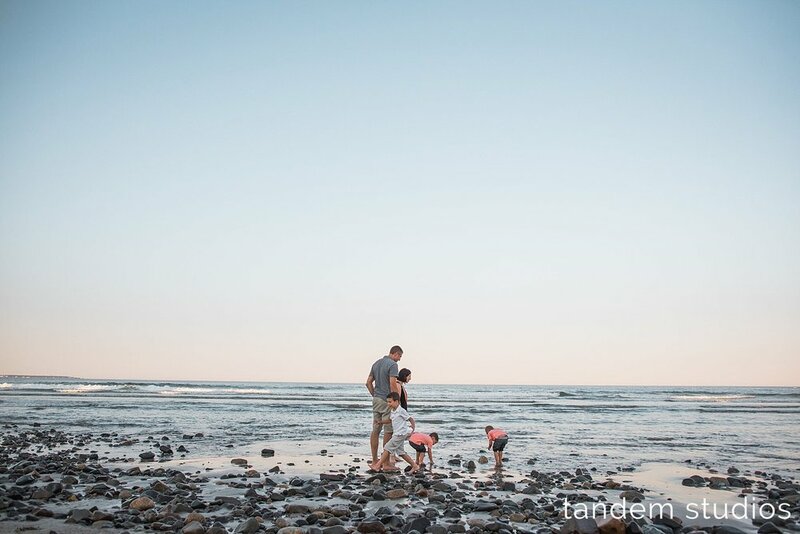 While photographing this family is one of the highlights of our summer, we also enjoy the time catching up after our session, hanging out by the beach and chatting wedding industry. Jillian runs a wedding and lifestyle blog - Red Oak Weddings - for the New York, New Jersey, and Pennsylvania area and I think you should check it out. 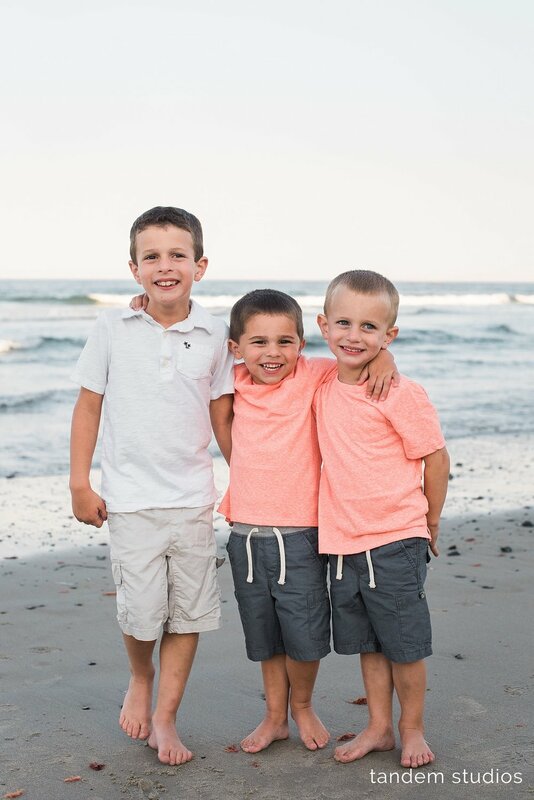 She does an amazing job not only with her blog, but also in raising three incredible boys.